I LOVE the word "neckerchief", don't you - it's so ... middle English!? Anywho, paisley bandanas; skinny scarves; and silky neckerchiefs are having quite a moment this spring and I'm a huge fan. 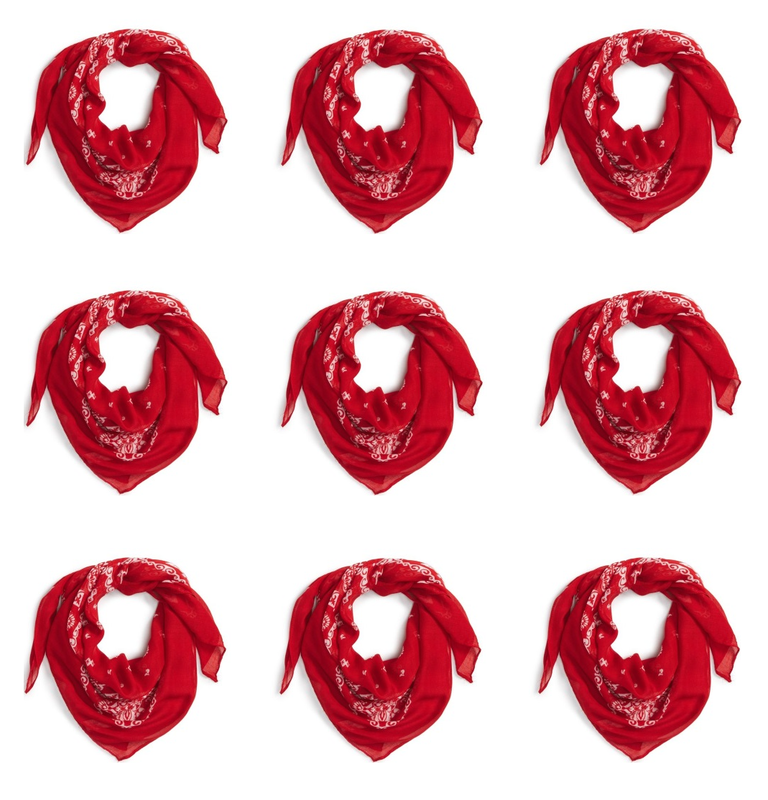 I particularly like this cheerful red paisley one - it's perfect for adding a little "retro chic" to any outfit.